In the first of a three game set, the Cardinals easily defeated the Rockies behind very good work from Mike Leake, who earned his seventh win of the season. The right hander pitched seven scoreless innings, allowing only four hits while striking out six and walking none. In the eighth, Zach Duke allowed two runs without recording an out. John Brebbia secured one out and left for Kevin Siegrist, who got the final two outs of the eighth. Tyler Lyons pitched a scoreless ninth. The Cardinals offense featured the long ball. Randal Grichuk hit a two run shot in the fourth. Tommy Pham and pinch hitter Jose Martinez both hit solo shots in the seventh. Pham was 2-for-3 with two runs scored. The first two Redbird runs scored in the first inning, one on a Paul DeJong single, and the other on a double play ground ball from Jedd Gyorko. In the eighth, Kolten Wong and Greg Garcia both hit RBI singles. Wong was 2-for-4. DeJong was 2-for-5 and Yadier Molina was 2-for-4. Molina stole his sixth base of the season. The second game of the series was a win for the Cardinals, but a much closer one. A two run home run by Paul DeJong in the first inning put the Redbirds ahead. The Cardinals ultimately needed more when the Rockies tied it up in the later innings. In the ninth, Harrison Bader hit a leadoff double and Greg Garcia bunted him over to third. Jedd Gyorko then hit a sac fly to right field and Bader’s speed brought him home for the winning walk off run. DeJong was 2-for-4; Kolten Wong was also 2-for-4. Starter Lance Lynn seemed impervious to trade talk, tossing six innings, giving up one run on three hits. The righty fanned six and walked two. Kevin Siegrist pitched a scoreless seventh. Matt Bowman started the eighth, but gave up a run and didn’t record an out. Trevor Rosenthal got out of the inning. Rosenthal returned for a scoreless ninth and received the win. The Cardinals completed the series with the Rockies with a clean sweep. A substantial offensive output was needed and was received. It began the same way as the previous game, with a two run home run by Paul DeJong in the first inning and continued with a five run fourth inning. The first run scored on a Kolten Wong ground ball force out. Starting pitcher Carlos Martinez then hit an RBI single to right. Matt Carpenter doubled to plate Wong and Martinez, and Tommy Pham’s sac fly scored Carpenter. In the sixth, Yadier Molina’s double plated two more runs. Finally, in the seventh, Wong scored on a wild pitch. Carpenter was 2-for-5 and Tommy Pham was 2-for-2 with two runs scored. Molina was 2-for-4. Randal Grichuk was 4-for-5 and Harrison Bader was 3-for-4. Grichuk had an outfield assist. Starter Carlos Martinez hurled six innings, giving up five runs on seven hits. The right hander struck out eight and walked two. John Brebbia, Brett Cecil and Seung-Hwan Oh each pitched a scoreless inning of relief. The Cardinals followed the sweep of the Rockies with being shut out by the Diamondbacks. The Redbirds bats couldn’t get any traction against Arizona starter Zack Godley. The offense managed only five hits, all singles, with two coming from Paul DeJong. The other three singles came from Matt Carpenter, Tommy Pham, and Greg Garcia. Luke Weaver made the start, replacing the injured Adam Wainwright. Weaver pitched five innings, with the damage caused by a fourth-inning grand slam. In the loss, he allowed five hits while striking out five and walking two. Matt Bowman, John Brebbia, Kevin Siegrist, and Tyler Lyons each pitched a scoreless inning of relief. It was another shut out in the second game of the series, but this time the Cardinals were on the winning end. Michael Wacha was excellent yet again, pitching six scoreless innings. The right hander allowed only three hits, fanned five and walked one. Seung-Hwan Oh tossed a scoreless seventh. Brett Cecil began the eighth, but after giving up two hits, and not recording an out, he was replaced by Trevor Rosenthal. Rosenthal got out of the eighth without damage, and returned for the ninth for another scoreless inning to earn his fifth save. Wacha was the winning pitcher, his eighth. The lone Redbirds run scored in the sixth on an RBI single by Jedd Gyorko. Gyorko was 3-for-4. Harrison Bader was 2-for-3. Tommy Pham stole his 14th base of the season. In Game 3, the Cardinals offense was again shut down, this time by Dbacks starter Zack Greinke. Unlike, Godley, the Redbird bats did manage one run against Greinke, in the first inning. Matt Carpenter led off with a double, and Tommy Pham followed with a single. Paul DeJong then drove in Carpenter on a single to center. Carpenter was the only Cardinal with multiple hits, he was 2-for-4. The only other hit was a Randal Grichuk double. Mike Leake was the starter, and he pitched five innings, giving up three runs on four hits. The right hander struck out four and walked two and was the losing pitcher. John Brebbia pitched a scoreless sixth. Zach Duke and Matt Bowman pitched a scoreless seventh between them. Kevin Siegrist began the eighth, and was only able to record one out while surrendering four runs in the process. Tyler Lyons was brought in and got the final two outs of the inning. Brett Cecil pitched a scoreless ninth. The Cardinals salvaged the final game of the series, and earned a split, despite scoring just five runs in four games. It was a tough go for the Redbirds, they struck out 10 times against D-backs starter Taijuan Walker. St. Louis did not get on the board until the fourth inning, when Jose Martinez hit a two run home run. Martinez was responsible for driving in all three runs, as he added a sac fly in the sixth. Yadier Molina was 2-for-4. Lance Lynn pitched six tough innings. The right hander gave up two runs on four hits, but he walked five and struck out three. Tyler Lyons and Matt Bowman combined for a scoreless seventh. Seung-Hwan Oh threw a scoreless eighth and Trevor Rosenthal tossed a scoreless ninth to earn his sixth save. Lynn earned his ninth win. The Cardinals finished the home stand 5-2. A sweep of the Rockies was the key to the positive outcome, but the offense struggled against the better Arizona pitching. The key components of the team have improved for the most part. Pitching has been good, the bullpen in particular has made great strides recently. The bugaboos of the past, defense and baserunning, have also been decent. The offense has been inconsistent however, which has been an issue throughout the season. Getting over the hump of .500 for the first time in two months remains the biggest immediate issue for the team. The Cardinals will play a series in Milwaukee coming up, a place where the team has typically done well. The Brewers have also been floundering of late, so the Brewers series will answer some questions about the stamina of this team. Meanwhile, the Cubs have won 13 of their last 16 and have acquired a top starting pitcher and a proven closer in the last weeks to bolster their bid to repeat. The two clubs still have seven head-to-head games remaining on the schedule. The Cardinals are one game under .500 and in third place in the NL Central. 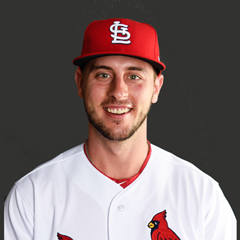 Paul DeJong is batting .357 with an OPS of 1.079. He has 3 HRs and 7 RBI. Randal Grichuk is batting .357 with an OPS of .964. He has 2 HRs, 1 double, and 4 RBI. Tommy Pham is batting .333 with an OPS of .892. He has 1HR, and 2 RBI. Jose Martinez is batting .667 with an OPS of 2.417 in 4 plate appearances. 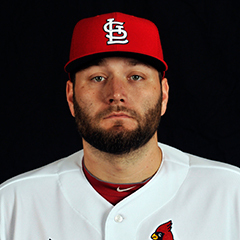 Lance Lynn has an ERA of 1.50 and a WHIP of 0.83. Mike Leake has an ERA of 2.25 and a WHIP of 0.83. John Brebbia has an ERA of 0.00 and a WHIP of 0.90. Seung-Hwan Oh has an ERA of 0.00 and a WHIP of 0.67. 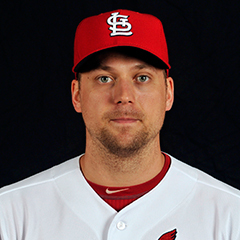 Trevor Rosenthal has an ERA of 0.00 and a WHIP of 0.50. Luke Voit is batting .091 with an OPS of .322. Zach Duke has an ERA of 54.00 and a WHIP of 12.00. The leadoff hitter has been Matt Carpenter for six games, and Dexter Fowler for one game. The number 3 hitter has been Paul DeJong for six games and Dexter Fowler for one game. The number 4 hitter has been Jedd Gyorko for five games and Randal Grichuk for two games. The number 5 hitter has been Yadier Molina for six games and Harrison Bader for one game. The number 6 hitter has been Kolten Wong for three games, Grichuk for two games, DeJong for one game and Luke Voit for one game. The number 7 hitter has been Harrison Bader for two games, Grichuk for two games, Wong for one game, Voit for one game, and Carson Kelly for one game. The number 8 hitter has been Wong for two games, Bader for two games, Greg Garcia for two games, and Grichuk for one game. With the trade deadline approaching, reports have been made that several teams have expressed interest in Lance Lynn. The most recent report, from MLB Network’s Jon Morosi, is that the Houston Astros are interested in Lynn. Morosi also reported that the Nationals scouted outfielders Randal Grichuk and Tommy Pham. 7/24 The Cardinals sent C Eric Fryer outright to the Memphis Redbirds. Fryer elected free agency. 7/25 The Cardinals placed OF Dexter Fowler on the 10 day disabled list. 7/25 The Cardinals placed RHP Adam Wainwright on the 10 day disabled list retroactive to July 23, 2017. 7/25 The Cardinals sent 1B Chad Huffman outright to the State College Spikes. Huffman elected free agency and signed a minor league contract with the Washington Nationals. 7/25 The Cardinals selected the contract of OF Harrison Bader from the Memphis Redbirds. 7/26 The Cardinals recalled RHP Mike Mayers from the Memphis Redbirds. 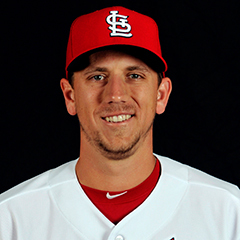 7/27 The Cardinals sent OF Stephen Piscotty on a rehab assignment to the Peoria Chiefs. 7/27 The Cardinals optioned RHP Mike Mayers to the Memphis Redbirds. 7/27 The Cardinals recalled RHP Luke Weaver from the Memphis Redbirds. OF Stephen Piscotty (right groin strain) was sent on a rehab assignment to the Peoria Chiefs, where he played over the weekend. OF Dexter Fowler was placed on the 10 DL due to a left wrist sprain. No timetable for his return to the roster has been reported. RHP Adam Wainwright was placed on the 10 day DL for mid back tightness. Luke Weaver was recalled from Memphis to make Wainwright’s start against the Rockies last Wednesday. Reports indicate Wainwright may be available to make his next start, possibly on Wednesday against the Brewers. RHP Alex Reyes (Tommy John surgery) has taken a major step in recovery by beginning a throwing routine this past week. His return is expected in 2018. The Cardinals have an off day Monday following the end of the D-backs series and travel to Milwaukee to take on the Brewers in a three game series. The team then travels to Cincinnati for a weekend set against the Reds. The Cardinals move on to Kansas City following the Reds series to begin their annual four game home and home set with the Royals. The clubs play two games in Kansas City, followed by two games in St. Louis. The Atlanta Braves arrive in St. Louis for a weekend series following the home and home series with the Royals. The Cardinals have an off day on Monday following the Braves series. They travel to Boston to play the Red Sox in a two game series, the second half of a home and home interleague series. Boston visited St. Louis on May 16 and 17. Following the Boston series, the Cardinals travel to Pittsburgh to play the Pirates in a four game series beginning on Thursday, August 17. The trade deadline is coming up quickly and thoughts of past trades always seem to come front and center at this time. The recent good news concerning Hall of Famer Lou Brock being cancer-free reminds of one of the best and arguably the most lopsided trade of all time – Lou Brock for Ernie Broglio. The phrase “Brock for Broglio” has become baseball nomenclature for a lopsided trade. The trade itself encompassed more than just Brock for Broglio. It was announced on June 15, 1964, and was actually a six player deal with the Chicago Cubs. The Cardinals received Lou Brock, Jack Spring, and Paul Toth. Brock is well known with everyone, but who remembers Spring and Toth? Spring was a left handed pitcher who played for seven teams in his 10 year major league career. Spring spent only 1964 with the Cubs and the Cardinals. The longest he remained with any team was three seasons with the Angels. Toth was a right handed pitcher who began with the Cardinals in 1962, pitched six games, and was traded to the Cubs. Toth remained with the Cubs until returning to the Cardinals in the Brock trade. He was playing in the minor leagues with the Cubs when he was traded, and spent the remainder of 1964 with the Cardinals Triple-A club. He retired in 1967, still in the minor leagues. The Cardinals sent Broglio to the Cubs, along with left handed pitcher Bobby Shantz and outfielder Doug Clemens. Shantz was purchased by the Phillies two months after the trade. Clemens remained with the Cubs through the 1965 season and was traded to the Phillies in January of 1966. None of the accompanying players in the trade for either side amounted to much. So why was the trade so lopsided? The reason is what happened with the two centerpieces, Brock and Broglio. As we all know, Brock went on to have a Hall of Fame career with the Cardinals, contributing to two World Series wins in 1964 and 1967. 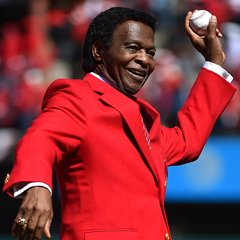 Lou Brock is one of the most beloved Cardinals of all time. What of Broglio? Broglio pitched to a 4-7 record with the Cubs with an ERA of 4.04 in 1964. What wasn’t known at the time of the trade by the Cubs was that Broglio had an injured elbow, and had his ulnar nerve reset in November of 1964. Broglio was never the same, and was completely out of baseball by the end of the 1966 season. The trade was believed to be a win for the Cubs at the time it was made, but time proved it to be a heist for the Cardinals instead. A trade like that is unlikely to happen these days, given that much more scrutiny is given to the injury history and medical history of players in a trade. Teams can’t hide injuries to players when making a trade without serious consequences. The Cardinals knew Broglio was injured when they traded him and they got away with it because the rules were lax back then. Not so anymore, just ask A. J. Preller, the GM of the San Diego Padres, who was suspended for 30 days in 2016 for failure to disclose medical information in a trade to the Boston Red Sox. Had the rules been more stringent in 1964, the most lopsided trade in baseball history would likely have never happened.